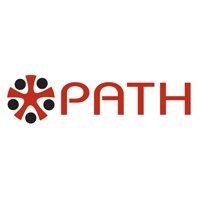 PATH is an international organization that drives transformative innovation to save lives and improve health, especially among women and children. By mobilizing partners around the world, we take innovation to scale, working alongside countries primarily in Africa and Asia to tackle their greatest health needs. Together, we deliver measurable results that disrupt the cycle of poor health. PATH’s Digital Health team works directly with national governments in low and middle income countries to select, adapt and scale appropriate Information and Communication Technology (ICT) for long term use in their country to address health challenges. Our services span the entire software development lifecycle from supporting analysis of digital health needs to the deployment and long-term use of those technologies. The Digital Health team coordinates closely with government ministries of health, the information and communication technology sector, other global health NGOs and donors to improve the governance, design, development, acquisition, implementation, and sustainability of digital health technologies and approaches. The Tanzanian Government has formulated an “Investment roadmap in data systems and data use in the health sector”, building on the national eHealth Strategy. The Bill and Melinda Gates Foundation is supporting the Government by contributing funding towards a portion of this roadmap through a five-year project coordinated by PATH. Working with the Government to put in place and support effective governance and coordination processes for the investment roadmap as a whole. Demonstration of instituted data use practices including through use of digital tools by primary care workers, facility supervisors and health managers. Supporting data consistency and exchange through enterprise architecture, including through a health worker registry and an administrative area registry. Take lead in identification, testing and development of data use interventions to facilitate cost effective and sustainable data use in the health sector. Lead on the design and oversee the implementation of cost effective long-term capacity development strategy including all project-related activities targeted at capacity development to Governmental, non-governmental and implementing partners. Provide strategic technical guidance and direction to the project in collaboration with partners to ensure alignment with the latest technical information, evidence and approaches in the data use field. Take lead in coordinating the design, testing and development of tools and training materials to foster the use of data for health program design and management. Work in close collaboration with Digital health specialist and Governance and Policy officer to influence the use of data in decision making to all health related programming in the Country. Work with stakeholders to identify key programmatic decisions, conduct data analysis, and disseminate the data using audience-appropriate communications strategy. Serve as a liaison between the government, project and all partners implementing capacity-building activities. Coordinate and oversee the implementation of all capacity building partners in planning, monitoring and evaluation of the capacity building activities. Degree in Community development, Education training, Sociology, Social-work and any related field, preferably Masters level or Higher. Minimum of 10 years relevant work experience in capacity development activities, including minimum 5 years in capacity development management. Demonstrated experience working closely and successfully with Tanzanian Government. Substantial experience in and knowledge of the health sector in Tanzania. Experience organizing and facilitating meetings; adept at bringing diverse opinions together to achieve consensus and drive results. Excellent interpersonal skills, and the ability to develop and maintain effective working relationships and interact persuasively with national, regional and district government at senior levels, donors, partners, and relevant project stakeholders. Good and proactive organizational, prioritization and workload management skills. Excellent IT skills, in particular including a good understanding and experience of Microsoft Office Products (Word, PowerPoint, Excel, Outlook). Ability to work without direct supervision and on own initiative. Excellent oral and written communication skills in English and oral communication skills in Kiswahili. PATH is an equal opportunity employer. Every qualified applicant will be considered for employment. PATH does not discriminate based on race, color, religion, gender, gender identity or orientation, genetic information, age, national origin, marital status, disability status, political ideology, military or protected veteran status, or any other characteristic protected by applicable federal, state, or local law. Oversee all activities of the project including managing and supporting team and coordinate project work across PATH, partner staff and Government secondees. Plan, direct, coordinate and lead activities of Data Use Partnership project to ensure that goals, objectives and all elements of the project are accomplished within the prescribed time frame and funding parameters. Facilitate development of strategy, translation of strategy into action plans, overall coordination of activities and their implementation, resolution of issues, and communication of project information. Manage the planning and execution of project work, including ensuring that the workstreams of multiple teams are on track, playing a key internal leadership role to ensure efficient management of donor resources, and ensuring completion of milestones. Work closely with the government, donor and stakeholders to understand critical issues impacting implementation success across the project and oversee the development of clear, timely messages and support. Monitor project indicators to determine impact, including developing Key Performance Indicators and Program Management goals. Review policies and procedures, identifying gaps and setting benchmarks to ensure effective project implementation, communication, monitoring and reporting. Prepare timely donor and internal reports, including reports to the PATH Digital Health Regional Director. Facilitate technical meetings and workshops, particularly those involving senior level stakeholders. Support the Government to coordinate implementation of the overall national Digital Health Investment Roadmap, including supporting resource mobilization efforts and donor coordination. Ensure close Government involvement in and ownership of the project. Develop and maintain relationships with the Government of Tanzania, implementing partners and publicly represent the project and its values. Represent the project in several international forums, conferences and committees related to project’s core mission. Work closely with PATH team members and the Gates Foundation to communicate challenges, bottlenecks, solutions and successes and generate required reports and other deliverables as needed. Degree in Information Technology, Computer Science, Health Informatics or Project Management or any other related field. Masters Degree in Business Administration,Strategic Management or Project Management. Minimum of 10 years relevant work experience in health related project, including minimum 5 years in senior project leadership roles. Demonstrated experience working closely and successfully with Tanzanian Government. Excellent understanding of digital tools and systems in the health sector (digital health). Excellent understanding of health data management and use. Capable leader bringing diverse stakeholder groups together to achieve a common vision. A proven track record of building and sustaining effective partnerships with national, regional and district government at senior levels, donors, partners, and relevant project stakeholders. Demonstrated experience as a project manager overseeing virtual teams composed of diverse professional staff. Strong track record of managing milestone-based projects to achieve strong results within budget and time constraints. Experienced motivator of teams, able to support the “human side” of implementations, including fostering an environment supportive of large scale behavior changes.